episode starts with Brenda talking about her identity crisis with her short hair yet again, when is Brenda going to stop hogging the airtime on ANTM?! so basically the girls were invited to the Upright Citizens Brigade Theatre where they learn how to portray emotions. So the girls had to do some action while portraying some feelings. and then brenda had a makeover yet again, and she freaked out when she was told that her hair might be shaved off. in the end, the sides are being shaved, and she kept complaining that it is not her style and that she wants her long hair back. and the next moment, she appears in front of them! 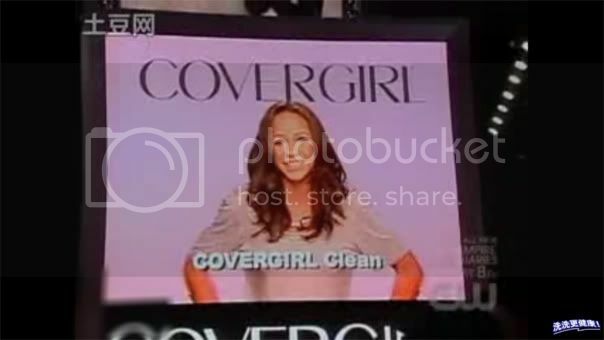 so the challenge was to make a 30seconds commercial for CoverGirl Clean. there is no need to memorise any script, just improvise while the script is read out. the catch is that they will be doing this live, in front of everyone else at Times Square. Winner will be in the CoverGirl shoot for Seventeen and appear on the website. so most of the girls just posed with the bottle, smile, pose, arch back, stuff like that. but Tatianna really blew it away, in a good way! she really acted like she was in the advertisement, and many people out at Times Square cheered for her as well! and of course she was the Challenge Winner! the way she screamed was...CRAZY! but Krista came and broke them apart and stop the fight. and then, it was Tyra Mail again. i dont recall an episode with SO MANY Tyra mails! "Tomorrow, be careful of the no neck monster. Love, Tyra"
jessica thinks that they will be posing with snakes, that was quite a funnily bimbo comment to make. they will wear white-out lenses that will obscure their vision, so they were literally as blind as a bat! alasia got good comments yet again, omg, i HATE HER! Judging! the judges loved alasia yet again, with simone, krista, anslee, jessica having bad comments. can they just... get it in their heads that alasia is NOT THAT GREAT?! 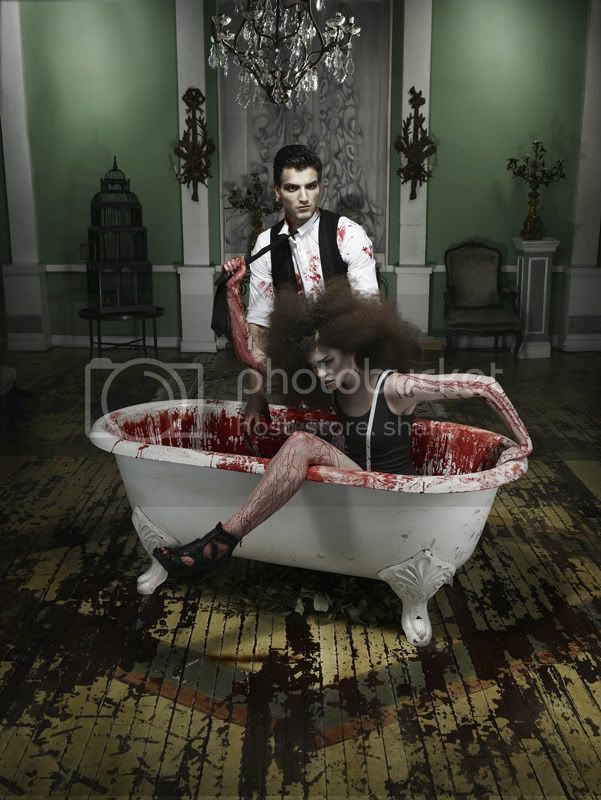 i wish Nicole Fox was here, i would have liked to see how she will model with the blood. she would have ROCKED IT! 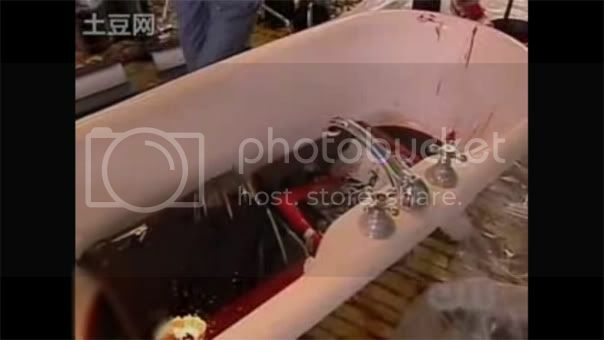 awww, what a pity for her! i think simone looks really stunning, but her lacklustre pictures... well, it was time for her to go anyway, getting abit boring.